"They weave magic into everything they do. They transport, transfix and transform. I could listen to them for hours." 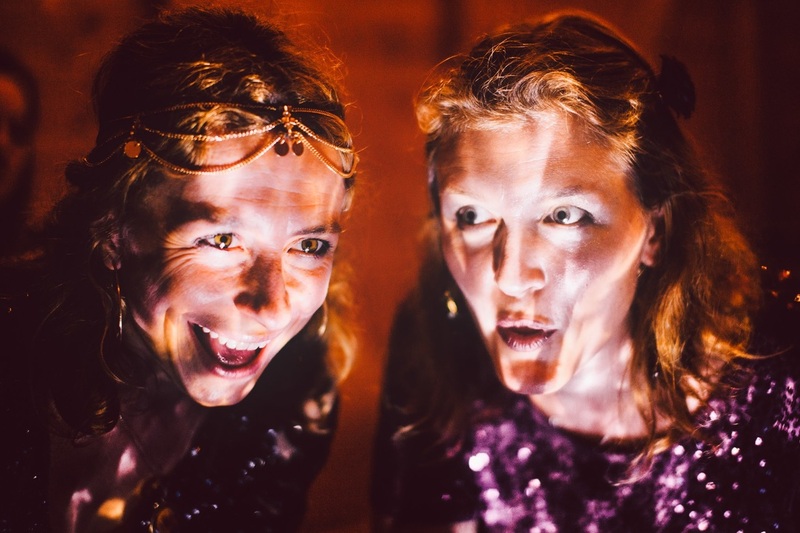 International Storytellers Eleanor Buchan and Zoie Kennedy are The Shadow Travellers. Shape shifting and travelling through the timeless shadowlands of story to produce improvised tales which are unique to each specific audience, time and place. From a candlelit barge in central London to a brothel deep in the beating heart of Amsterdam's red light district they have spun their web of stories to capture their listeners and hold a candle to their needs, fears and dreamscapes. Sometimes they soothe, sometimes they shock, oftentimes they heal. "We arrived excited to hear some stories, we left having travelled to beautiful lands unknown, leaving some of the baggage we arrived with along the way. We emerged transformed, full of unashamed joy, giggles, love and warmth going out into the night. ​Thank you, thank you, thank you." "The very best 'in the now' improvised creation with a deep seated understanding of archetype, mythology and magic." "It took me back to my childhood and the simple pleasure of having a story conjured out of thin air. "Nourishing in all senses of the word!" "An utterly nourishing, delicious, scrumptious, soothing, thrilling, nurturing, sensory, creative and wondrous evening. I feel blessed to have been a part of this magical journey. I walked home from the station barefoot in the drizzle of the rain, my shadow eager to play, my heart eager to burst open and my voice eager to howl." "I am feeling the ripples this morning: beautiful and deep.... It will glow like the stories you created with us last night." "Brilliantly woven stories. So intuitive and alive"
"Thank you for blowing power into the souls and hearts of the people around you through your story telling"
"When I journeyed with the shadow travellers part of me didn't want to ever come back... I will forever remain in their web, happily." "Truly intuitive, healing, revealing and magical. What a wonder to be part of something so ancient and so needed. Thank you."